Feeling: The best news this week is that I am getting a bit of relief from those awful headaches. They haven’t left the building completely, but are definitely visiting less regularly. I worked out last weekend that I think they are partly due to low blood sugar, so as soon as I feel one coming on, I get a snack, which seems to be helping. I’m starting to get a bit uncomfortable in any one position for too long, so I’m having to get up and walk around the office every hour or so. My colleagues love it as it has meant I do more and more tea rounds! The hormones have well and truly kicked in this week and I’ve been totally over emotional! Looking: I’ve grown again, but nobody who doesn’t know has mentioned it yet, so I probably feel bigger than I actually am. Craving: Apples… There have been less healthy cravings, I guess. Sleeping: Not too bad, but I do shift around a lot to get comfy, if I stay in one position in bed too long it becomes uncomfortable too, so I’m a fidget bum in bed at the moment. 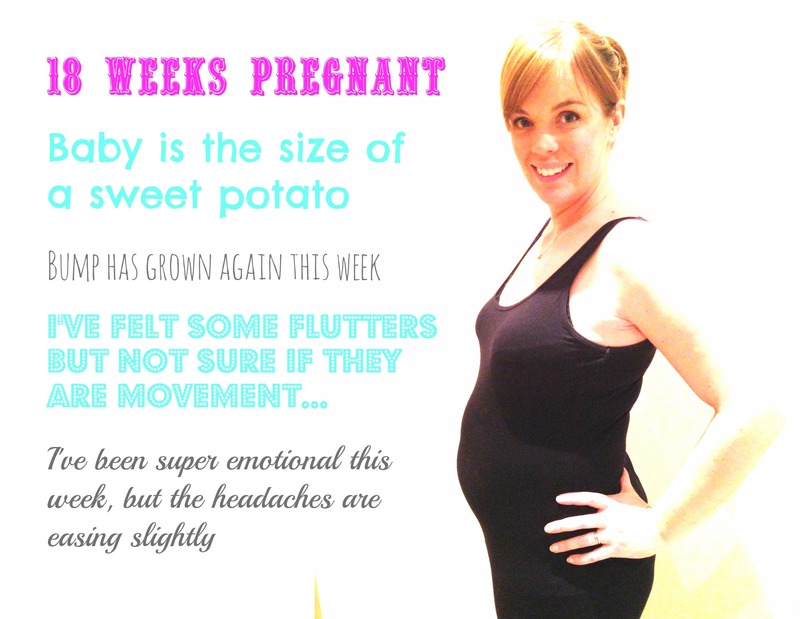 Baby is the size of: A sweet potato. Your bump is gorgeous! Love it. I’m so sorry you’re getting headaches, I suffered in pregnancy too. Lots of water will help although you will be rushing to the loo at lot! Dead pent subject matter, thanks for information. “Necessity is the mother of taking chances.” by Mark Twain.